Originally, this location was home to a hotel called the Gardner House. 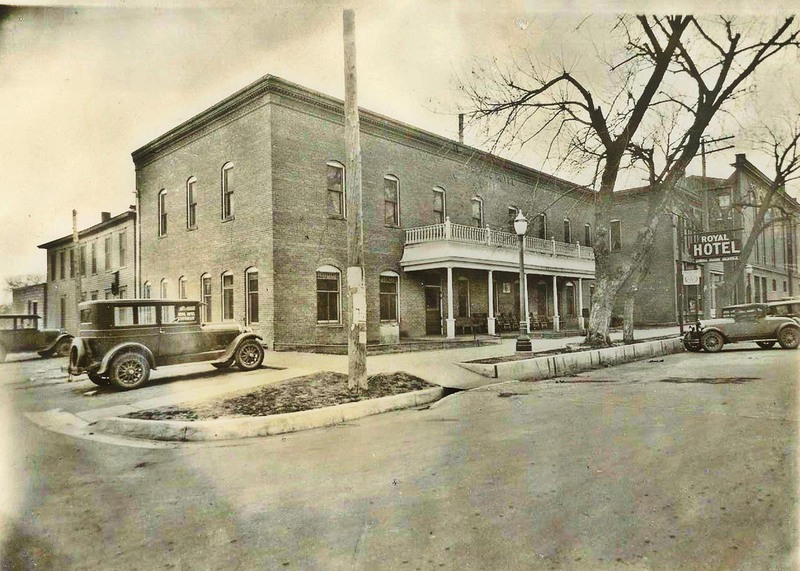 Once the Oatman family decided that a new hotel with a new name was in order, the Gardner House was moved to the rear and used for overflow and kitchen space. Construction of Oatman’s new Royal Hotel, and just to the west John Polnicky’s new saloon and billiard hall occurred simultaneously in 1901. Local contractor, Emanuel Fitz, had the contract for the brickwork. This ambitious endeavor was conceived by Lorenzo Dow Oatman and Edna A. Oatman and their only living child, Royal. Another hotel, the Valley House, which was built by Joseph Warner in 1874 and burned in 1924, was located one-half block east. Brown’s marble and granite business was once located just across the street east on the southeast corner of East Fourth Avenue and Elm Street. 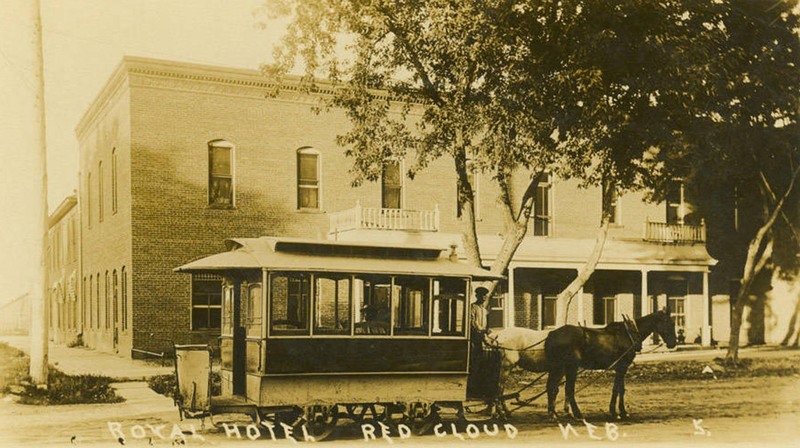 The “Hotel Royal” was heralded as being Red Cloud’s new brick hotel that was first-class throughout. It had nineteen bedrooms, each 15′ X 15′ and well ventilated. It was fitted with all modern conveniences as well as exquisite furniture and fixtures. Boasting steam heat, the hotel had 26 radiators to ensure comfort throughout. Billed as something the town could well be proud of, it was said to be a retreat in which weary wanderers could find needed comfort and rest. Many considered it to have the finest accommodations in the valley. An open house for the public, complete with ice cream and cake, was held on Saturday, November 23, 1901. This was followed on Sunday with a grand opening dinner at which 120 guests were served. Some of their Thanksgiving Day reservations that first year included former Governor and Mrs. Garber and their invited guests. Unfortunately these celebrations proved bittersweet for Edna and son, Royal, as Lorenzo had passed away the previous month. 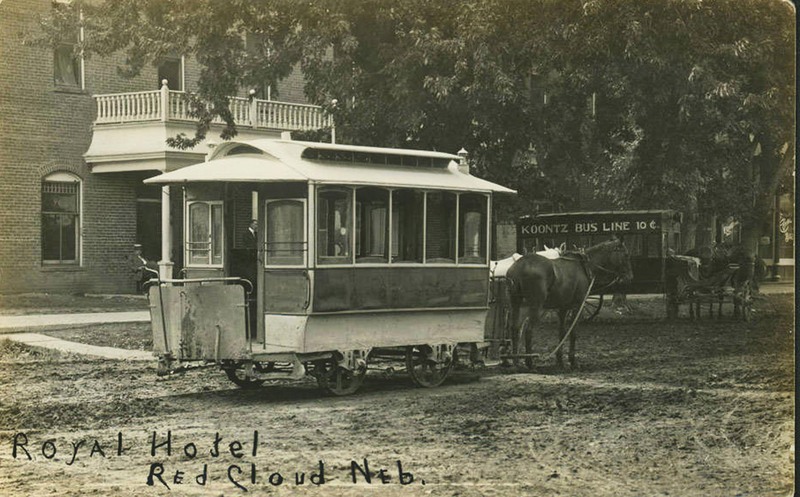 The hotel was home to many special dinners, weddings, receptions, and even a death or two over the years. In more recent years, the hotel space was converted to apartments and housed the offices of Peterson Oil Company.